If you’ve been following me for a while, you know that I LOVE Dr. Brandt products. 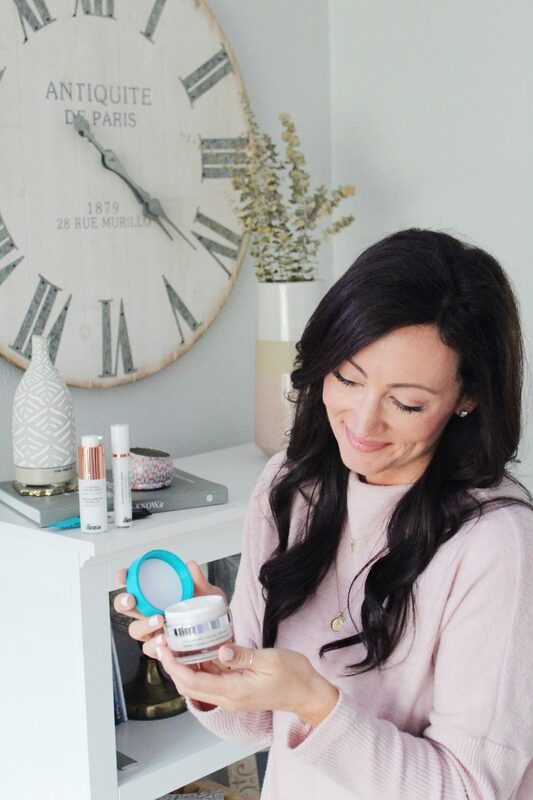 Everything I’ve ever tried from them is always so so good and I feel like the products actually give me results. 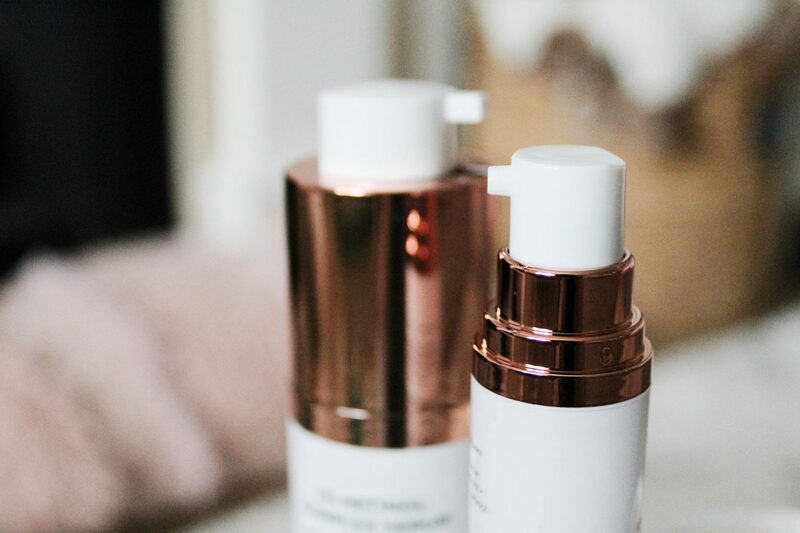 I did a post back in January on some of the products I’ve been using and loving and you all really enjoyed it! 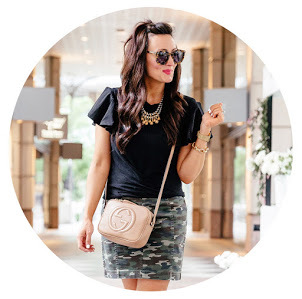 I just updated the post with my 60 day feedback/reviews as well, so you can read the updated post HERE. Last month, they sent me 4 new items that I hadn’t tried yet so I thought I would do a post on here with my reviews so far. I’ve been using them for over 30 days and once again, they don’t disappoint. 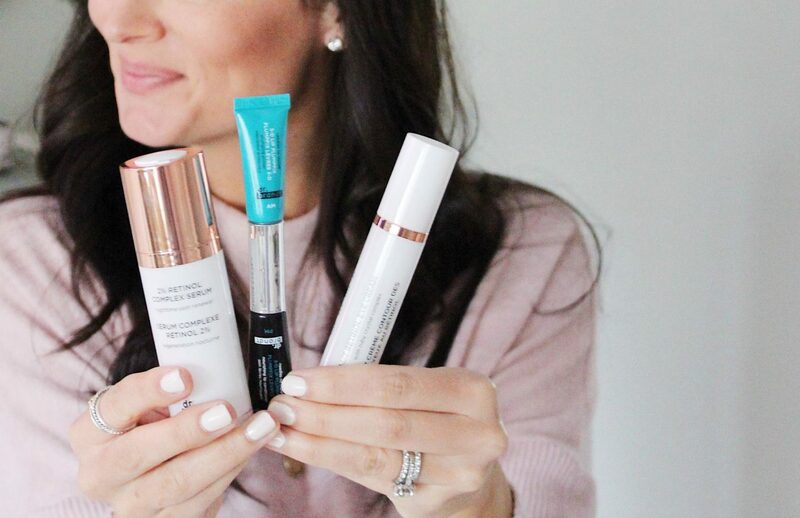 A lot of these products help with anti-aging and let’s be honest, we all need help in that category! 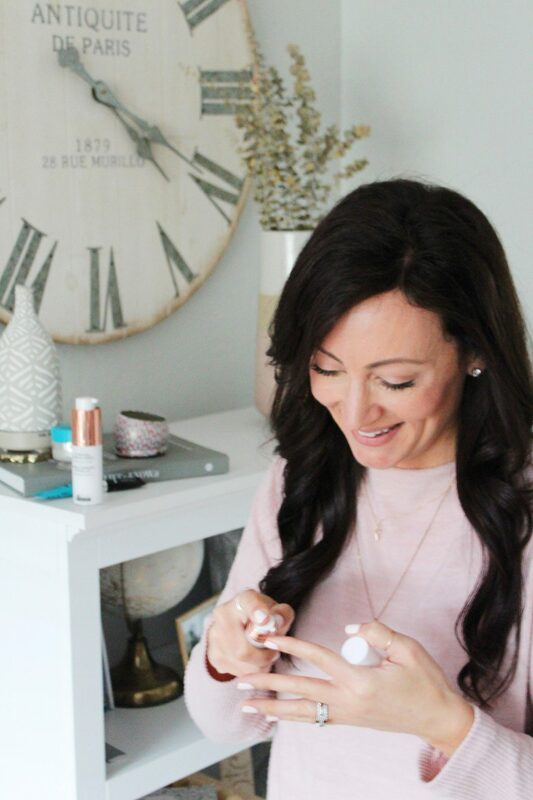 I was most excited to try this new product because you all know that I love love love the Needles No More Baggage eye gel so I was interested to see how this lip plumfix worked. Overall it’s another great product especially the PM side. I feel like it’s super moisturizing and I wake up with very very smooth lips (something I always struggle with). Also, the tingling effect is not bad at all. I’ve tried so many plumping lip glosses and lip products & this one has a very mild tingling effect. I also feel like when I put this on before my lipstick, my lipstick goes on so much smoother. Overall a win! Loving this so far! I’ve been using this 3 times a week in the morning after I wash my face and it is extremely moisturizing without leaving me oily. I do feel like it also brightens my skin and makes me feel/look more awake. 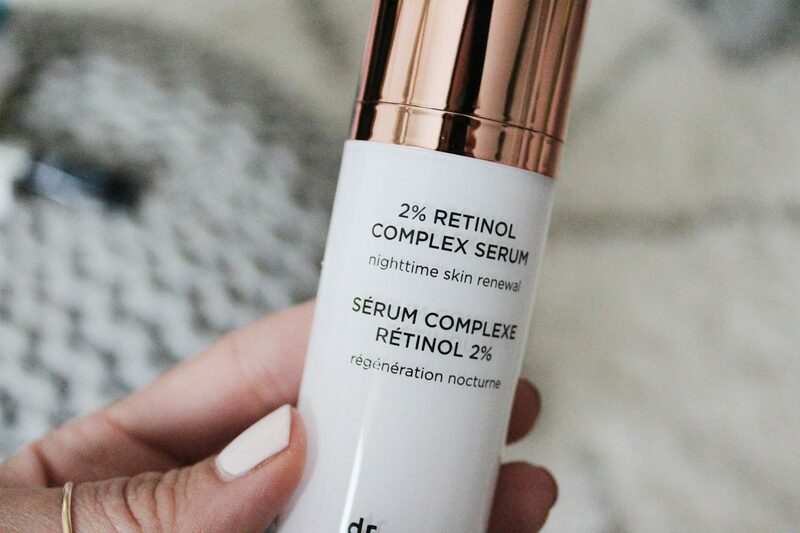 I’m slightly new to the retinol game and this serum does not disappoint. 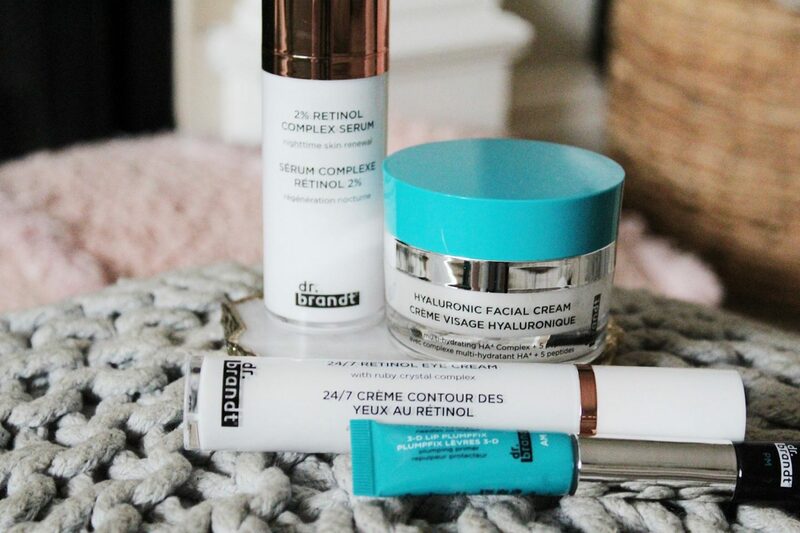 Retinol is a super important product to use as we age because it helps with fine lines, pores and aging. SIGN ME UP. 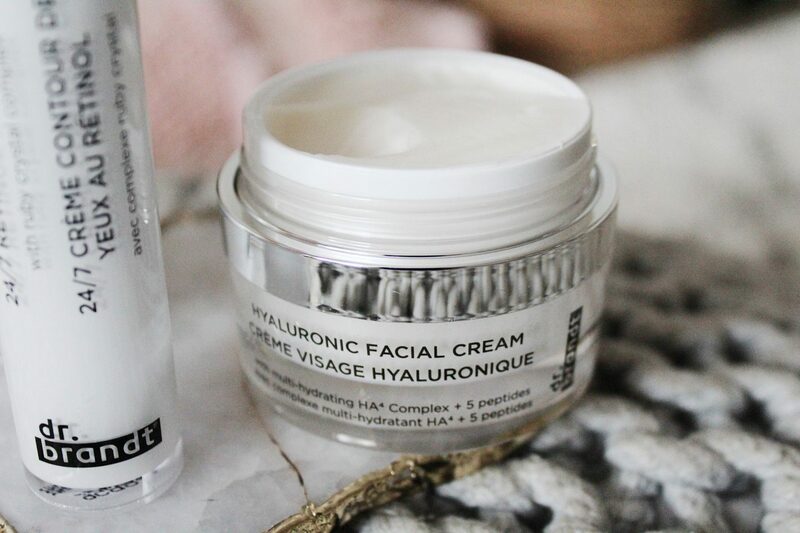 I’m 100% sure that this product has extremely brightened up my face and evened out my skin tone over the past 30 days….I LOVE it! 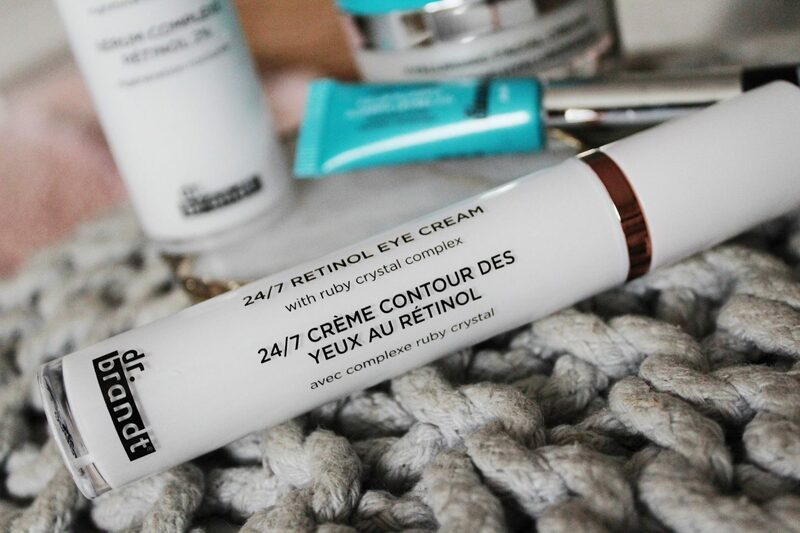 If you are looking for some good retinol products, this is a great place to start. 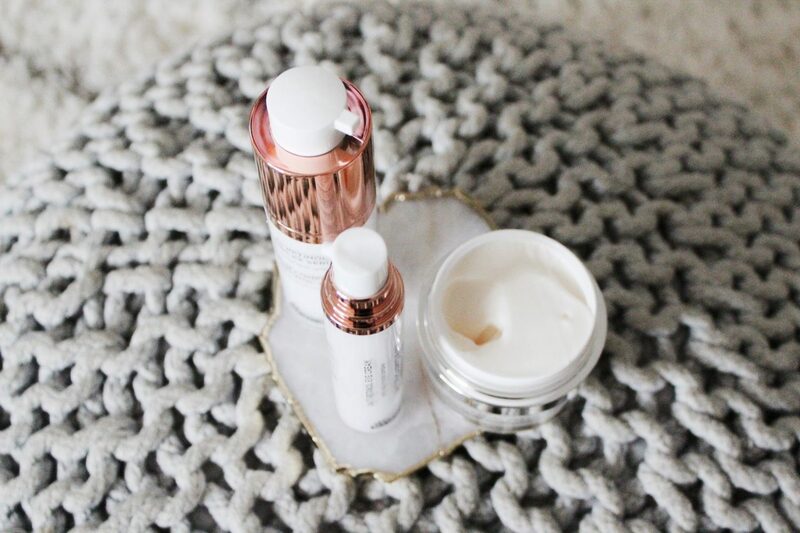 (It’s recommended to not use retinol while pregnant or breastfeeding – just letting you all know because I didn’t know this when I was pregnant with Eloise!). I’ve been using this with the serum and also loving it! A little goes a LONG way, so I know that this bottle will last me a while! I’ve been putting this on just at night and loving the feel/effects. 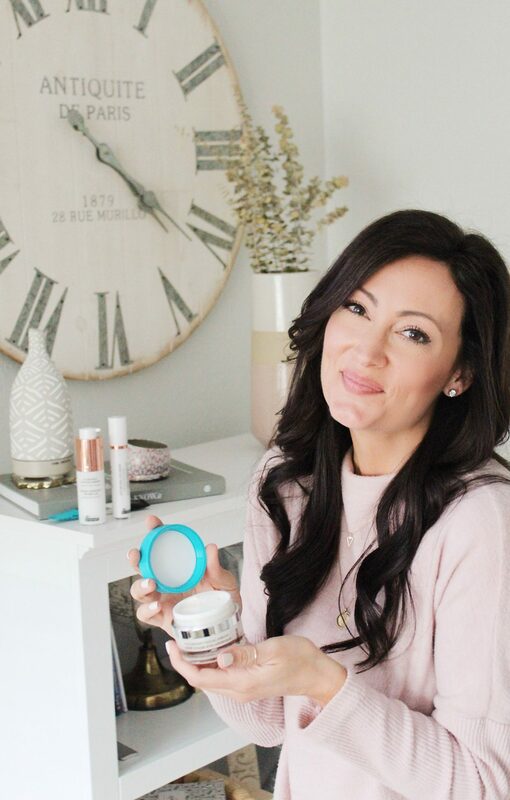 I hope this post helps answer some of your questions about these Dr. Brandt products as they have seriously helped my skin! Also, don’t forget to use code “WINTER30” to get 30% off your purchase site wide! ** Big thanks to Dr. Brandt for sponsoring this post. As always, all opinions are my own!